Swap your stuff and utilize the one in - one out rule to control clutter and save money. Swap sites allow you to trade items you no longer want, need, or use for new stuff. These sites are designed to keep usable goods circulating instead of collecting dust on a shelf or taking up space in a landfill. They are also designed to save you money. There are swap sites for just about anything imaginable to include homes and services. Here I will concentrate on sites that manage swaps or exchanges of books, movies, video games, toys, clothing, and children's items. Strictly speaking, swap.com is an online consignment store, not a swap site. That said, it is a great way to get rid of stuff you don't want. Instead of getting another item in exchange, you earn a little money. Swap.com offers a wide range of stuff. 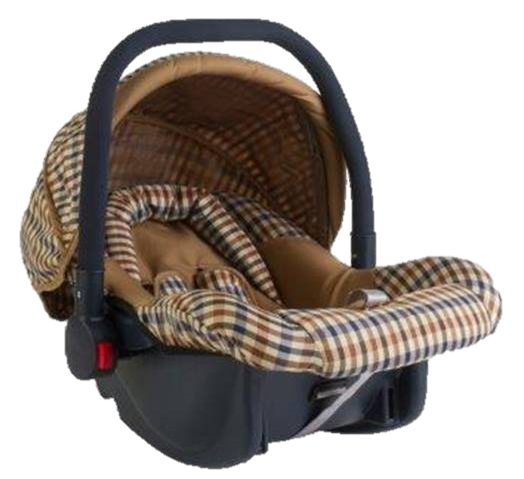 Options include clothing for men, women, kids and baby as well as maternity clothes. In addition, they accept/offer toys games, sports and outdoor equipment, books and movies. ​The process is pretty simple. Begin by requesting a pre-paid shipping label or an 'Inbound Box' on the website. When your label/box arrives fill it with the stuff you want to sell and return it to swap.com's facility. Once your stuff has been processed and stored you'll receive an email letting you know that it's ready for review and pricing. Before shipping anything to swap.com I recommend reviewing their list of acceptance criteria. At Books Free Swap it’s the recipient who pays the postage. When you receive a request for one of your books, you print a postage paid label from the site and send it on its way. In addition, you can create a wish list of items you want. When they become available, you receive notification. Book Mooch operates on a points basis. You receive points for mailing books you've posted to other members. You can then exchange your points for books you want. Swapmammas is a community designed to help mom’s trade what they have for what they need. It deals in all things kid related from clothes to car seats to clarinets to cleats. No money changes hands. It’s free to join. Brick Swap is specifically designed for swapping all things Lego. In addition to swapping used Legos, you also have the option to auction them or sell them straight up. Post up to 10 listings a year for free. Get new (used) toys for your kids and pass on your kids' outgrown toys to others using Toy-Cycle. No money changes hands, including shipping costs. Users are divided into communities locally and trading takes place within your community. Neighboring communities are connected, thus allowing members greater access to a wider range of toys, but you have to be willing to travel farther to get them. Thread Up refers to itself as the largest online consignment and thrift store, and with good reason. Shoppers can choose from 35,000 brands at discounts up to 90% off retail. They deal in women's and children's clothing - including shoes, handbags, and maternity clothes. It all starts with a Clean Up bag which participants fill with 'like new' items in exchange for cash and/or buying credit. Trade video games with other users through Game Trading Zone. The system is designed to connect you with others who want what you have and have what you want thus allowing you to swap your stuff. Swap a DVD is designed to help movie lovers trade movies. Sign up and list your DVDs. When a DVD is requested, you mail it your fellow club member. There are over 250,000 movies for you to choose from in return. Movies are mailed to you for free at your request. 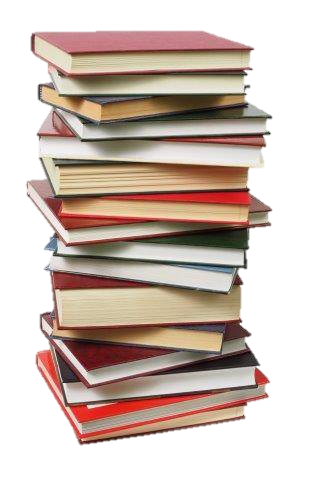 Trade books, DVDs, CDs, and video games via Title Trader. Earn Request Credits for shipping to others which you can use to trade for things you want. 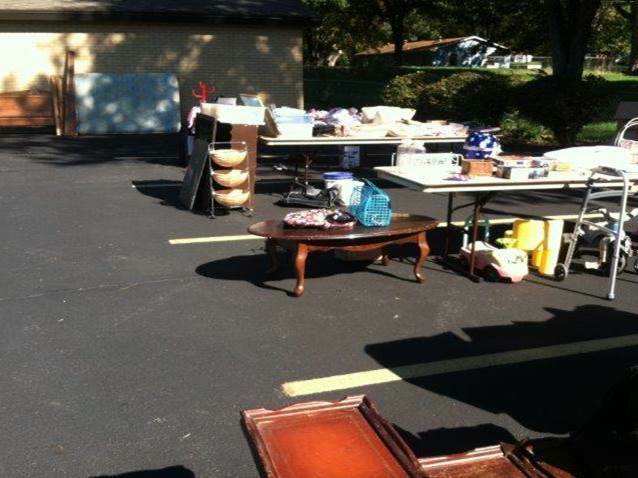 Our church's recent Swap Meet provided a great way for us to get rid of the unwanted items we identified in our recent move. 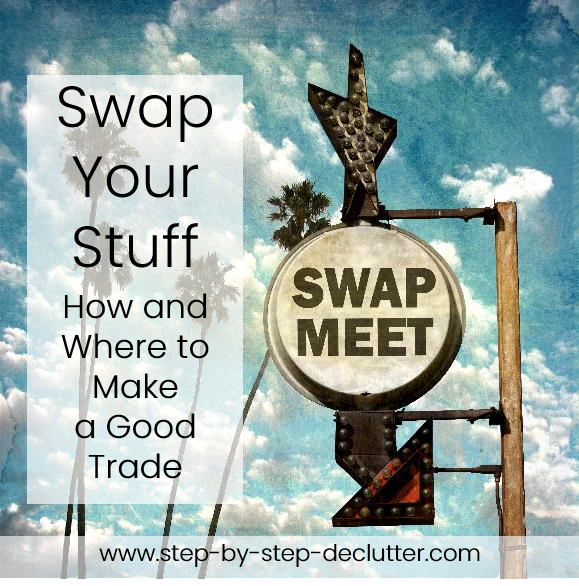 Consider hosting a swap meet in your area with neighbors, friends, a church group, or other organization. All you need are some empty tables and willing participants (which are usually not hard to find). It's fun to see who takes what and what's being given away. The best part is, you typically leave with far less that you brought. Be sure to arrange for unclaimed items to be donated to charity. Many charities will even pick up the items for you. Check out Donate Your Stuff for a list of charities. I hope you found this information helpful. If you know someone who would benefit from it, please share it on social media. Then leave me a note in the comments section below so I can thank you personally. This page was last updated in August 2018. In the process of updating the page I discovered many organizations that were either no longer in business or whose business practices had changed in some way. If you find information that is no longer accurate through a link on this page, please let me know so that I can update my information in order to provide the most beneficial experience for my visitors. ​There are literally dozens of swap sites out there. I have purposefully limited my selection to those that I felt were the most user friendly and would best meet the needs of my readers. If you know of resources I haven't mentioned here, feel free to share them in the comments section below.